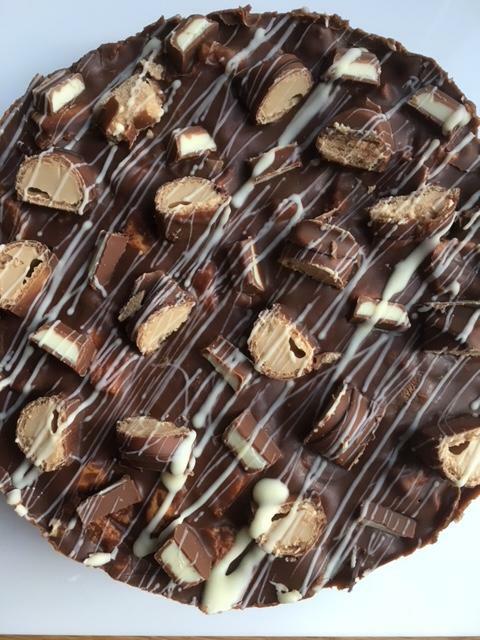 Kinder Bueno Rocky Road cake - Delicious chocolate, home-made vanilla marshmallows, biscuits and topped with yummy chocolate hazelnut Kinder Bueno and Kinder chocolate. 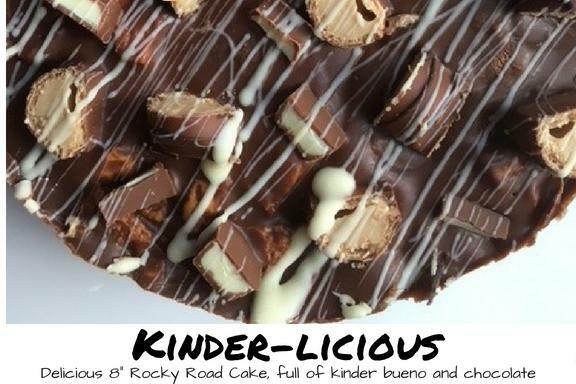 A favourite for all Kinder chocolate lovers! 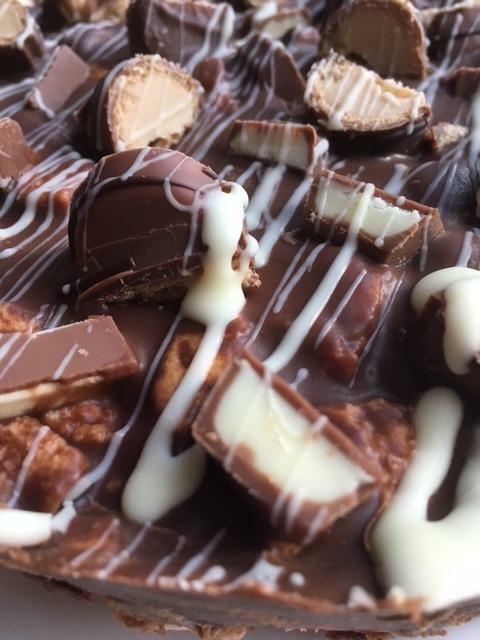 Milk Chocolate, Dark Chocolate, Butter, Golden Syrup, Vanilla Marshmallows, Biscuits, Kinder Bueno, Kinder Chocolate.